Timber panel fencing is a great way to not only secure your garden, but also to add privacy particularly among terraced houses. 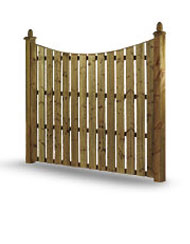 It also provides an excellent canvas to grow vines and other plants creating a secret garden feel and making your garden seem larger, other fencing we supply include post and rail and feather edge fencing. All the wood is treated and guaranteed, we only use the highest quality materials. Decking is a great way to extend your living space and really make the most of your garden, it's an easy way to maximize your outside space and is a great place for social occasions or to enjoy as your own little retreat, it's also very accessible and provides easy access for the disabled or elderly wishing to enjoy their garden.